I have a blog and a search engine, and I am not afraid to use 'em. Happy Friday, people of the words. Seattle keeps ratcheting up the volume on a record-breaking winter of rain; yesterday we had actual thunderstorms and lightning and stuff. Drenched we might be, but <insert joke about the steady drip of words>. 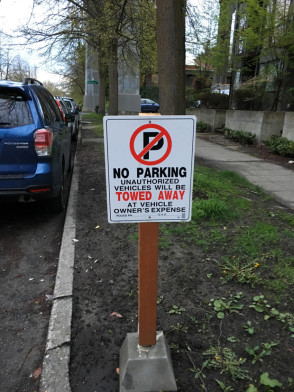 This is a thing in some of Seattle's neighborhoods where parking is tight and where, apparently, people feel like they have a right to the space in front of their house. The city, for its part, has been clear that this kind of curb squatting is not legal. There is a kind of related phenomenon whereby people put out plastic chairs days in advance to stake a claim to a spot—again, on public street—along a parade route. (The most extreme version I've read about was when someone put out chairs in January that claimed spots for a Fourth of July parade.) However, I have not yet heard that referred to as curb squatting. Hint, hint. Word originations, then. I was reading a book about the history of numbers and the author noted that the words calculate and calculus derive from a Latin word for stone or pebble. This made sense from a counting point of view; it's easy to imagine people using small stones as tokens for reckoning. This also then explains the use of the term calculus in medicine, where it refers to stone-like mineral deposits, like kidney stones or gallstones. 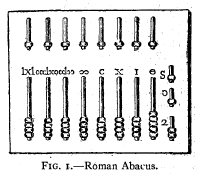 Calculus is also another word for tartar in the dental sense: the "incrustation" of hard material on the teeth. The original Latin term calx turns out also to be the source of the words calcium and chalk, along with less common words like calciform. I'll take Words Based on the Latin Term for Stone, Alex.